Before I put the eggs out to sell, I candle them. Candling them is essentially grading them. 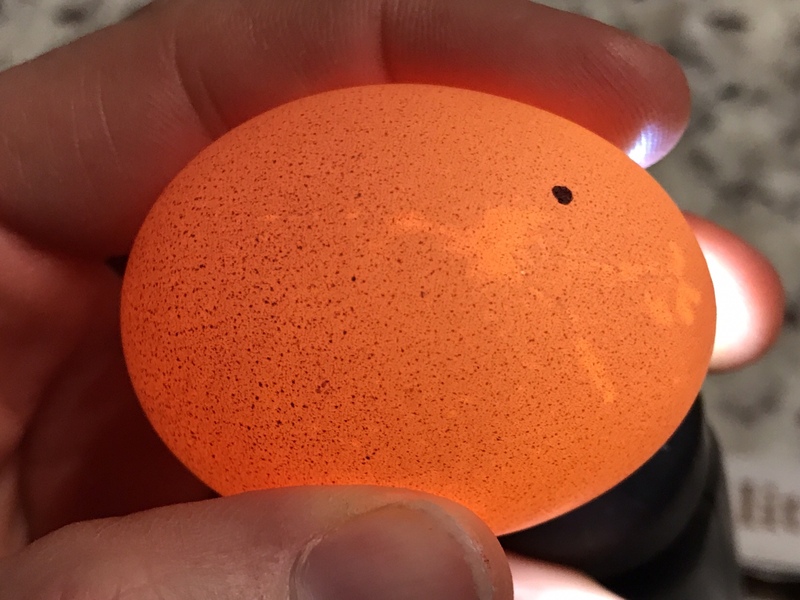 There are a few things to look for when checking eggs. The first thing I look at is the size of the bubble. The bubble should be small, the suze of a nickle or dime. The larger the bubble, the older the egg. Over time, the bubble grows, which eventually allows an egg to float. The next thing I look for are cracks in the shell. Cracks are not always visible to the eye, just like in the photos. 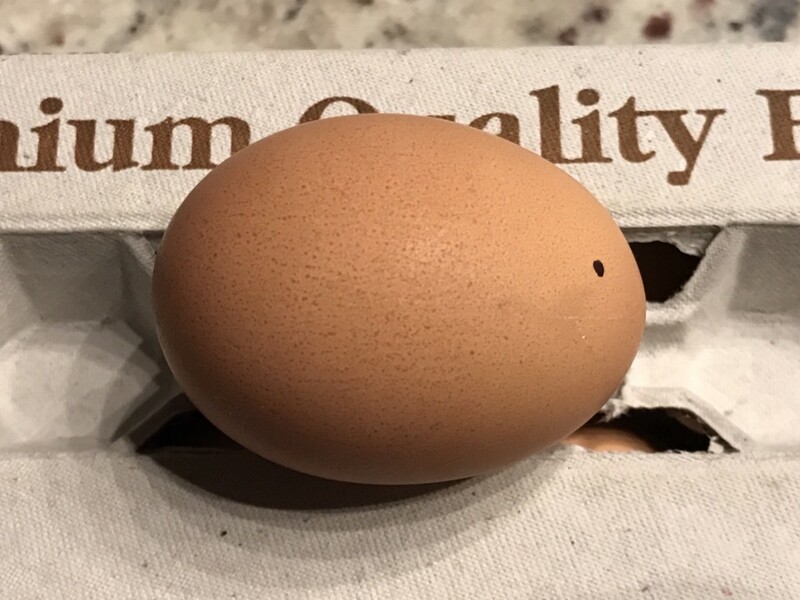 I marked the outside if the egg with a black dot to identify the area of the crack. Notice how you cannot see the crack without candling. No cracked eggs are ever sold. Lastly, I look for anything discolored, or dark, which can be from a range of things. Sometimes there is a little bit of dye, sometimes a drop of blood, and maybe some meat. Dye, blood, and meat are not baby chicks, and not always indicators of a fertilized egg. Eggs are passed through the body, and sometimes, things just happen. When it’s a baby chick, it is quite obvious.